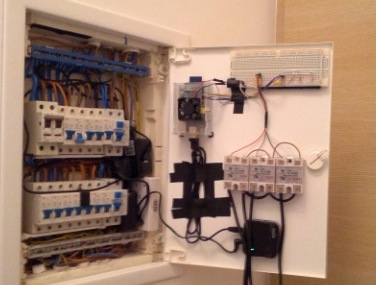 I have not tried much the home automation in the blog, and is one of the things that you can benefit with a Raspberry Pi. Fortunatelly there are tutorials like this from Enrique Lopez Mañas to show us the possibilities we have to make, with little spending money, a control system of lights through relays with the Pi. Congratulations Enrique, You're a crack!